Tier 1 – Inventory current activities, future plans and potential environmental concerns. Tier 2 – Document current land stewardship; assess and prioritize areas of concern. Tier 3 – Develop conservation plans addressing concerns and opportunities tailored to farm goals. Tier 4 – Implement plans utilizing available financial, educational and technical assistance. Voluntary – Farmers choose to participate. Watershed-based – The AEM approach is carried out within the context of a holistic watershed planning effort whenever possible. Customized farm-by-farm –Natural resource and business conditions unique to each farm are considered throughout the AEM process. A Team Approach – AEM coordinates technical assistance from state, federal and local government programs, as well as the private sector. 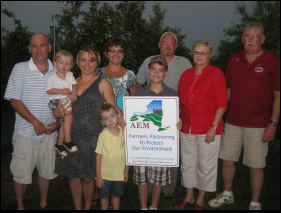 Cost Effective – AEM targets program, technical, and financial resources to farms with the greatest potential for impacting the environment. 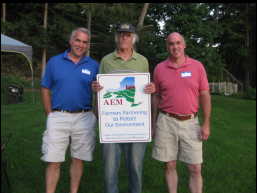 Statewide – The NYS Department of Agriculture & Markets and the NYS Soil & Water Conservation Committee secure funding for AEM, oversee the educational and training program for Certified AEM Planners, and provide standards and leadership for the program statewide. 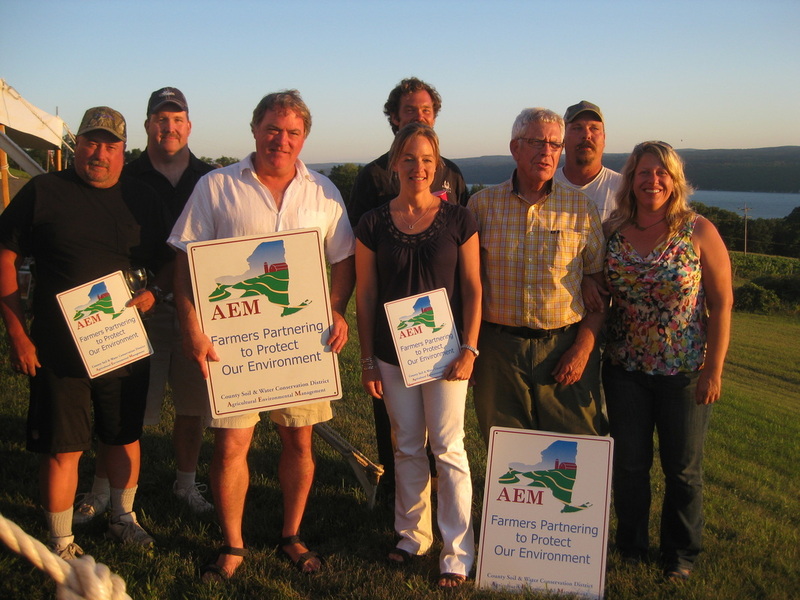 Locally-led and implemented – The statewide AEM initiative grew from counties and local watershed groups adopting and refining the planning and implementation process used in AEM. County-level groups have responsibility for directing and carrying out AEM in their counties. Tested and Science-based – The AEM planning process is based on well-established environmental planning processes. Environmental protection measures are based on scientific principles and research. Procedures are also provided to use and develop new, innovative approaches where appropriate. Confidential – State law protects the confidentiality of AEM plans, on-farm surveys, and assessments filed with the NYS Department of Agriculture & Markets or County Soil & Water Conservation Districts. Farmers have long been regarded as the original stewards of the land because a farm’s livelihood directly depends on the health and vitality of the soil and water resources. 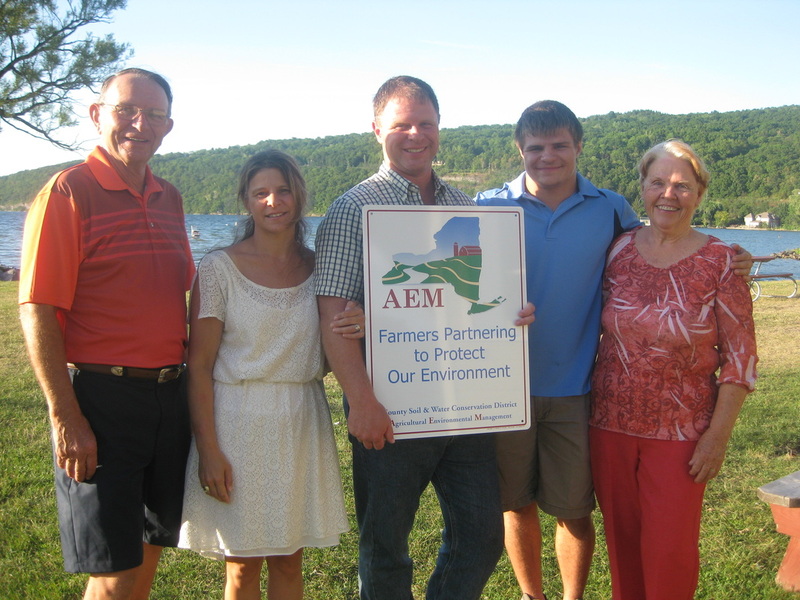 AEM is designed to help farmers further protect those and other important natural resources. 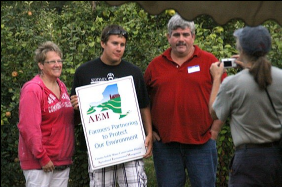 By participating in AEM, farmers can document their environmental stewardship and contribute to a positive image of agriculture in their communities. 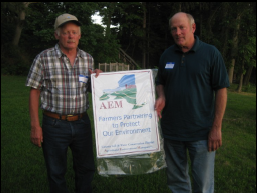 If a potential environmental concern is identified through the AEM assessment process, farmers can then take steps to plan for and then implement an appropriate course of action through the AEM approach. 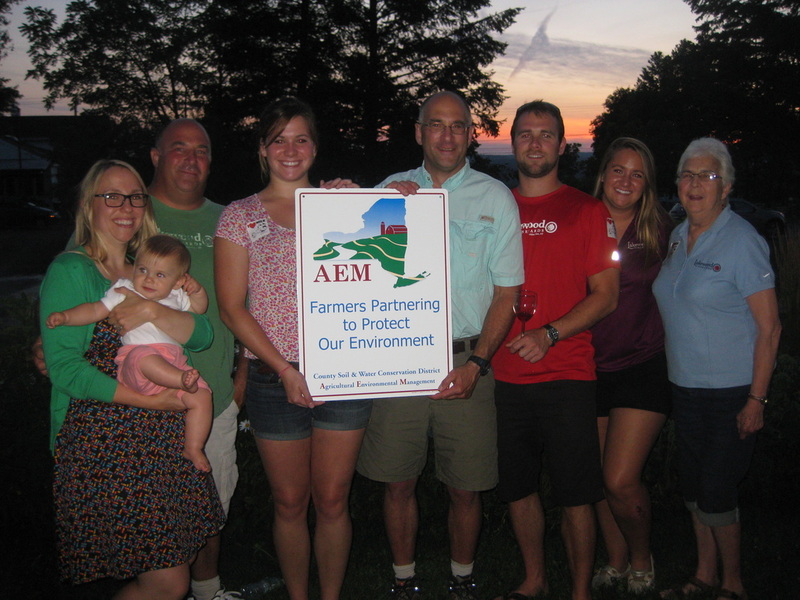 The AEM assessment, planning and implementation process helps to target limited local, state and federal technical and financial resources to farms with the greatest potential for impacting the environment. The farmer is always the ultimate decision-maker in cooperation with members of local AEM teams and qualified private consultants which help to ensure that farm business objectives are met while also achieving local, state and federal environmental and water quality goals. 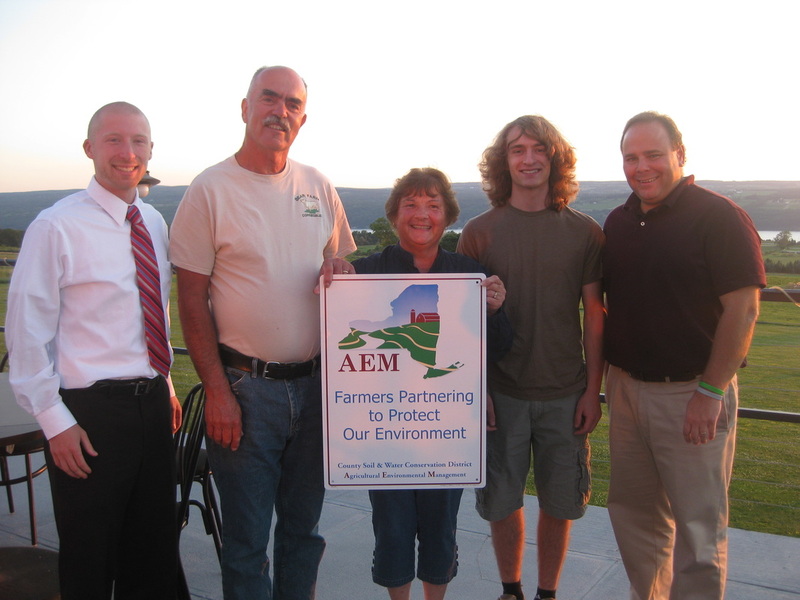 The primary goal of AEM is to protect and enhance the environment while maintaining the viability of agriculture in New York State. Promote teamwork between farmers, agricultural service agencies and agribusiness.